Thank you for visiting our website. The Norris-Segert Funeral Home & Cremation Services is proud to serve families in West Chicago and surrounding communities since 1872. Our staff is dedicated to provide professional service during a difficult time in your life. It is very important to us that we provide you with the best care in a warm and comfortable atmosphere. We realize that funerals are for the living to celebrate the life that one lived. Our commitment is to meet the needs of each individual family. Please feel free to visit our website as a resource and informational guide. 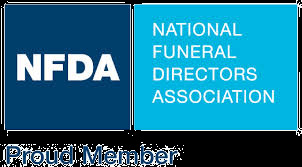 You may also take a tour of our funeral home by clicking here. We are available to answer any questions or concerns at 630-231-0060 or nwsfh@sbcglobal.net.